Loyalist blogger Jamie Bryson has confirmed he was arrested. 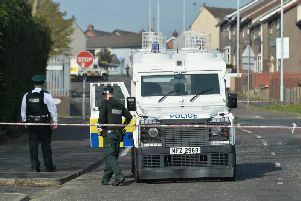 Police said they made an arrest while investigating criminality linked to the UVF in East Belfast. A man was detained and later released on Thursday. The PSNI said the 28-year-old was arrested in North Down and questioned on suspicion of unlawfully supplying door staff following searches in Bangor, Donaghadee and Newtownards. Mr Bryson has denied involvement in criminality. The man was released on bail pending further inquiries.